How I was able to find Kanechom Conditioners at 50% off. After a week away from home, the first thing I wanted to do was a little grocery shopping to stock up on the things I needed. Once I completed my shopping at the neighborhood supermarket, I decide to check out this tiny little Brazilian grocer to see what's the haps. I pretty much knew that I'd be coming out of there with ample amounts of Acai but I was not ready for what was to come. Immediately after walking it, I made a beeline to the back of the small store towards the refrigerated items. After moving aside boxes of oranges, mangoes and other random fruit, I was finally able to get to reach in and grab a couple packets of frozen Acai. Before walking away my eyes landed upon a 5lb tub of the tropical superfruit. Although I was tempted to buy a lifetime supply, I came to my senses after remembering that my freezer space wouldn't allow for it. On my way out I thought it would make sense for me to stop by their small beauty product section so I could take a look at their hair products. 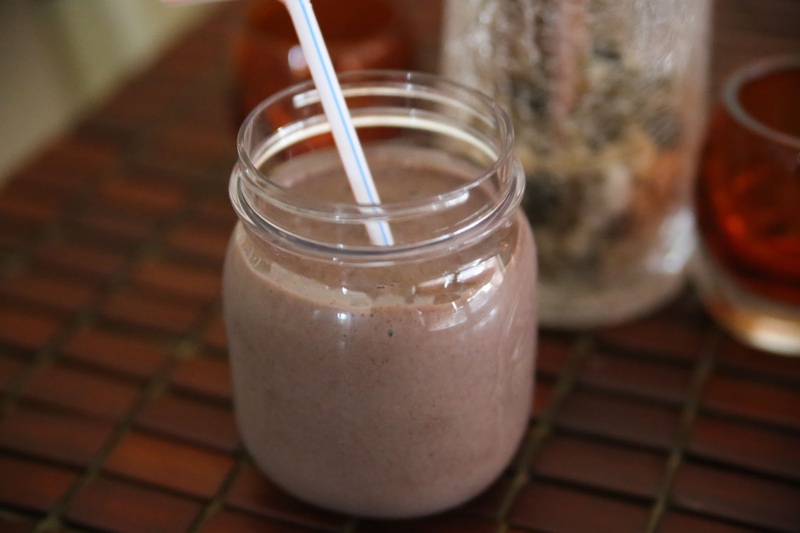 Immediately, my eyes landed on the jars of Silicon Mix Pearl Protein which is one my faves. Before I got a chance to compare prices with what I normally pay, I saw something that I could hardly believe. There, right before my eyes, was an extensive collection of Kanechom conditioners. Yes, the same Kanechom that I've been in love with ever since our very first encounter. 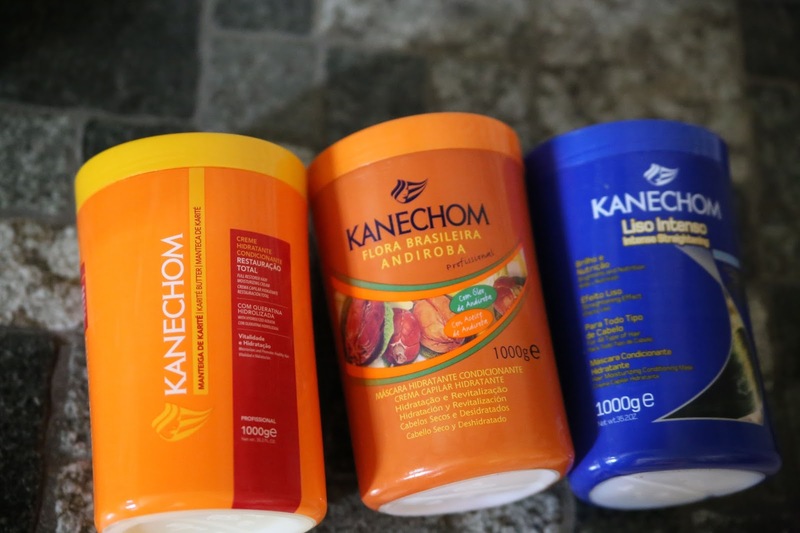 Not only did I have full access to multiple varieties of Kanechom conditioners but I was also blown away by the retail price. Only $4.99 for the full size container. A few moments went by as I stood there in shock. Is this for real? Suddenly, I snapped out of it and began to grab what I could. My strategy was to go for the varieties that I've always wanted to try but hadn't had a chance. First was the Kanechom Liso Intenso which claims to have a straightening effect on hair. If that promise holds true, I can get a lot of use from it when I'm deep into my stretch. Next was the Kanechom Shea Butter (my all time fave). The packaging looked completely different from the one I currently love. The scent varied a little as well. I suspect this is the actual formula they sell in Brazil because nothing on the package was written in English. I'm curious to see if it performs any differently on my hair. Lastly, I picked up Kanechom's Flora Brasileria. Although I couldn't translate anything from the package, I took a leap of faith and decided to get it anyway. Heck, at these prices, I could afford to take a little risk. I'm not finished yet, I think I'll go back for Kanechom Crystal Bath which claims to be able to "penetrate the hair fiber, protecting the hair from frequent external aggressions." I'm extremely excited to have stumbled upon such a gold mine. Kanechom is everything and now I have a lifetime supply available at rock bottom prices. 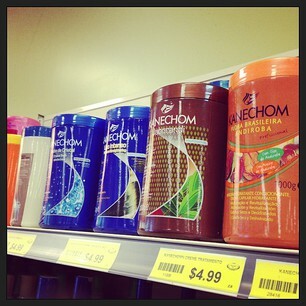 Check out your local Brazilian markets to see if you too can find your little Kanechom Conditioner oasis. I think I'll do a Kanechom Kraziness Part II post once I have had chance to try them all. Good luck with trying your new goodies.